Invest in your future! Exceptional location just S of 58Hwy W(to Raymore) on 291Hwy. 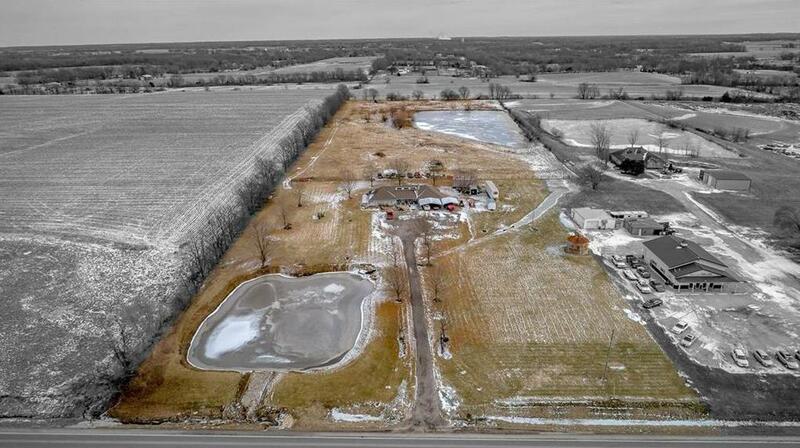 Large earth contact home sits far back from 291Hwy on 9.7 acres. 1926 sq ft home is blt w/douglas fir 2x6 walls except N wall is double 2x6 for 12"N wall. Roof replaced approx 6 yrs ago w/40yr Timberline.New wood appearance vinyl in liv,kit,din & hallway last yr. SS kit appliances 2-3 yrs old.Heatpump 3-4 yrs old.Anderson windows. Home is total electric, KCP&L and Rural Water #6. Commercial development advancing south on 291 Hwy. 17705 S State Route 291 Highway (MLS #2145720) is a commercial listing located in Pleasant Hill, MO. This property was listed on 01/25/2019 and has been priced for sale at $997,500. Nearby zip codes are 64012, 64034, 64078, 64083 and 64701. This property neighbors other cities such as Belton, Harrisonville, Lake Winnebago, Peculiar and Raymore.